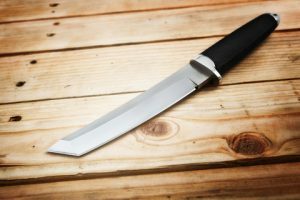 Having raised the specter of an “assignment pro tanto, it is only proper that this unusual and possibly dangerous hybrid be described – especially in a treatment of common and uncommon assignment / subletting problems. Simply speaking, this animal is the transfer, to another, of a tenant’s entire interest in a portion of leased premises, for the entire lease term. Describing this creation as an animal may be an apt choice of terms as it may be somewhat uncontrollable. In most jurisdictions, but not all, the landlord now has two tenants and, in effect, two leases. The assignee may, and the operative word is: “may,” have a contractual relationship with the landlord. If the original tenant defaults under its lease, giving rise to a lease termination, the landlord may still have a tenant, the assignee, for the portion of the leased space that was thought to merely be sublet. The law is uncertain; there isn’t a lot of guiding case law. But, if a tenant can assign freely under its lease, but not sublet freely, there is always the possibility of enjoying both “existences” by use of an assignment pro tanto. If you are looking for uncommon situations that can arise out of an assignment or subletting, just think of the mischief that can be created by a tenant structuring an assignment pro tanto. So, landlords might want to prohibit assignments of less than its tenant’s entire interest under the lease. Allowing (or consenting to) assignments, even to a tenant’s affiliates, may result in everyone rushing to research the intended and unintended consequences of the “pro tanto” assignment. Almost every lease endeavors to set out some rules for a tenant’s transfer of all or part of its leasehold interest. Depending on the bargaining power of the parties, their ability to predict the future, their tolerance for comprehensiveness, the amount of time they have allotted to the task, their knowledge of the law (and where it is heading), and the talent of the draftsperson, the lease may avoid or invite one or more of the issues below. The task is greatly complicated by the law’s disfavor of restrictions against alienation, and an assignment or subletting is such an alienation. Prohibitions and restrictions against assignment and subletting are scrutinized and containered by the courts. A prohibition against assignment does not prohibit subletting, and vice versa. In most jurisdictions, merely agreeing that there is to be no subletting of the premises does not prohibit subletting of less than the entire leased premises. A bar against assignment in the lease does not bar a subtenant from assigning its sublease. It may not bar a further subletting by a subtenant. Remember, there is no privity between a subtenant and the prime landlord. There are a myriad of transfers that happen by operation of law, and not all “triggers” are involuntary. An individual tenant’s death transfers the deceased tenant’s interest to her or his estate and then to one or more beneficiaries. Similarly, dissolution of an entity-tenant results in a distribution of its assets to the tenant’s interest holders – shareholders, members, partners, and the like. Then, there is a matter of reading some (innocent?) “boilerplate.” Like now, because doing so may lead to discovering that the lease’s provisions “are binding upon inure to the benefit of heirs, successors, administrators, and personal representatives.” And, not all jurisdictions analyze the same set of facts in the same way. So, without covering this form of transfer in a lease, the result may be unsettling. Covering it wrongly can also be unsettling to the tenant’s family if the lease is lost upon the family member’s death and the business goes down with the lease. And, speaking of transfers by operation of law, what if a creditor levies on a tenant’s particular asset such as the tenant’s interest in its lease and the lease is sold at auction to the creditor? A landlord may have joint or co-tenants until one of those tenants assigns to the other. Does consent to the first assignment or subletting result in a landlord’s right to vet the next one down the line? That appears to be the majority rule as to assignments, but not as to sublettings. What if the consent was by acquiescence or silence? If an assignee succeeds to the original tenant’s possessory right to the leased premises, but doesn’t assume the lease itself, does it need the landlord’s consent when it wants to further assign its interest in the lease or sublet the leased premises? Typically, when a small business is sold, the seller will assign its lease to the buyer and take back “paper” secured by the buyer’s assets. But, what good are those assets if it can’t get the lease back at the same time? How can it do so? Will reserving a reversionary right in the assignment do the trick? Similarly, an assigning tenant will be helpless to mitigate its damages if it can’t “get the lease back” when its assignee defaults under the lease. While a conditional reassignment document can be executed in connection with an assignment if the landlord agrees to such an arrangement at the time, a lease could cover the same contingency when first crafted. By crafting for such a situation in the first place, a lease could require the landlord to re-let to the original tenant pursuant to an identical lease, for what would have been the remaining lease term (provided the original tenant makes the landlord whole). Is a leasehold mortgage an assignment of the lease? If it isn’t, especially because courts construe restrictions on assignments very narrowly, can a tenant force an assignment on its landlord? Remember, a leasehold lender taking over as tenant under a lease may be hampered in assigning the lease to someone who might be able to use the leased premises, but what if it sells the defaulted mortgage to a party that wants to use the leased property for itself? What if the mortgagee was a “friend” of the tenant? Can a tenant assign a single right it holds under the lease, such as its purchase option, without running afoul of a no-assignment provision? Imagine that a lease allows assignment but not subletting. What keeps a tenant from assigning the lease to a new tenant and taking back an assignment that becomes effective in three or five years?